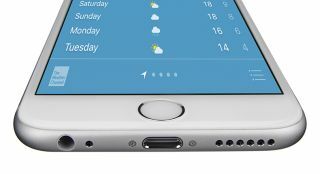 iPhone 7 "will drop headphone jack" in favour of Lightning connection | What Hi-Fi? The latest rumour claims Apple’s next iPhone will no longer have the standard 3.5mm headphone jack, instead relying on headphones that connect via the Lightning port or wirelessly. Fresh claims suggest Apple is in talks with audio chip partner Cirrus Logic to adapt the iPhone chipset to make the Lightning port the main audio output, in an effort to remove the headphone jack and make the iPhone 7 thinner. Philips and Audeze have already produced headphones that use the Lightning connection on existing iPhones. Taking a digital signal from the iPhone's Lightning output, and using a third-party app, allows iPhones to support hi-res audio. Changes to the next iPhone's chip could seee iPhones play hi-res music natively, supporting rumours that Apple Music will support hi-res in 2016. The latest report, from Fast Company, also claims new Apple Lightning headphones would launch alongside the new iPhone, no surprise there, and were likely to come with the latest noise-cancellation technology from UK brand, Wolfson. These new Lightning headphones could potentially carry the Beats branding. Sources told What Hi-Fi? that while they hadn’t heard definite plans as yet, there were indeed strong signs that the headphone jack will either be reduced in size or removed altogether. Previous reports suggested Apple was working on a new D-shaped connector or even a pair of wireless "AirPods". Either way, it seems you won’t be able to use your regular headphones with the next iPhone 7 - and, presumanly, other subsequent iOS devices. If true, it could make dedicated portable music players, such as those from Astell & Kern and Sony, more desirable - not least if you've spent a large amount of money on a pair of high-end headphones. It wouldn't be the first time Apple had dumped certain connections and formats from its devices, having done away with the old 30-pin connection on iPods and iPhones, not to mention the optical disc drive on the MacBook Air.